You've arrived on our Cookie Information page, so we guess you may be concerned about them or maybe you are unsure what they are. Let us explain. 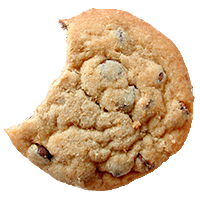 The primary function of a cookie is to remember browsing information offered up by websites as you visit them, the information is then saved by your browser on to your computer. Cookies are not viruses, nor are they executable and they cannot scan your system or search your computer for private information.